Yesterday, Google announced that a dozen new companies now offer integrations with its Google Home device through the Google Assistant. When Google Home launched in October, it only worked with four platforms. Since then, it has added two additional integrations in January. This large update brings the total up to 18, vastly increasing the smart speaker’s capabilities. 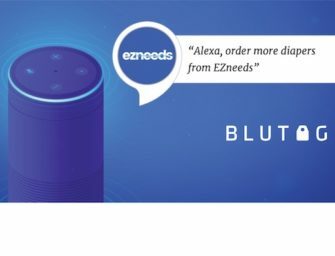 While these new integrations are definitely an improvement, all of the new companies added this week already offer similar Alexa skills for Amazon Echo devices. At this point, Google is playing catch up to Amazon in collecting partners for smart-home integration, given Amazon’s two year head start. But this update makes a sizable dent in Amazon’s lead, which is exactly what Google wants. As the smart home devices and smart speakers become more popular, the number of integrations Google and Amazon can offer will certainly be a differentiator for consumers selecting between the two devices. Google cannot let Amazon run off with the lead in this area, not with a large emerging market share at stake. The 12 companies that now provide support for Google Home are: August, Lifx, Wink, Rachio, TP-Link, First Alert, Vivint, Best Buy Insignia, Frigidaire, Anova, Geeni and Logitech Harmony. CNET has a nice breakdown of each integration’s capabilities here if you’re interested in learning more.